Legend Larry’s is a wing joint with a few locations around the Green Bay area. I’ve never been there but I can see why it’s popular. I picked up a few bottles of their wing sauce at Jungle Jim’s last time I was there. The first I tried was the Hot Garlic sauce. This sauce is not for the timid. It says ‘Hot’ in the name for a reason. It definitely has a kick but it’s not an over-the-top kick. I’d call it the perfect kick. And the garlic? Same thing. It’s got a great garlic hit, but again not over-the-top. This is a wonderful sauce that I will enjoy time and time again. I’ve found that there’s something seriously addicting about each of Legend Larry’s wing sauces. The consistency is perfect, just the right thickness to stay on your wings even when dunking into blue cheese dressing. The flavors are bold and the sauces don’t taste like they came from a bottle. Good stuff. Mighty good stuff. Also try Legend Larry’s Bacon BBQ Wings. 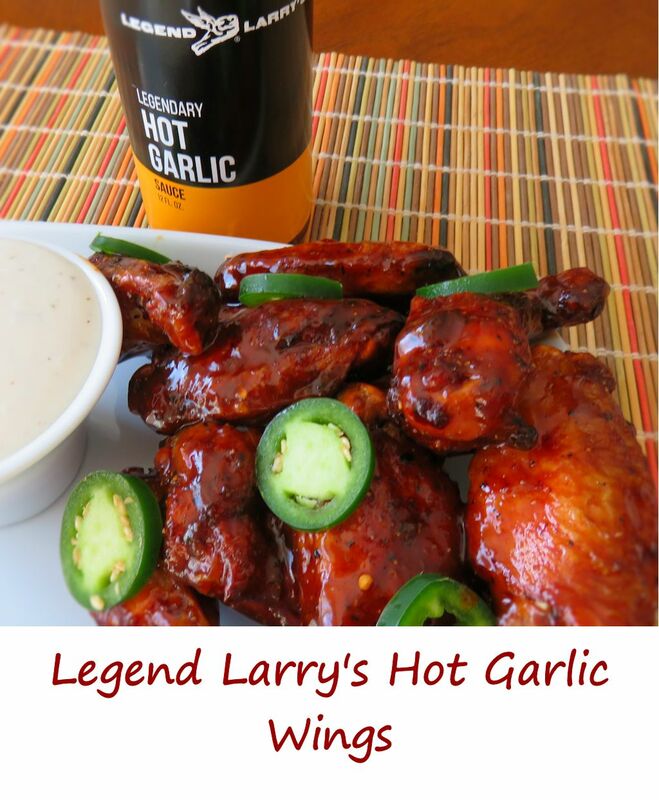 This entry was posted in Chicken Wings and tagged Legend Larry's Hot Garlic Wings, recipe by Mike. Bookmark the permalink.